Indran Amirthanayagam writes poetry in English, Spanish, French and Portuguese. 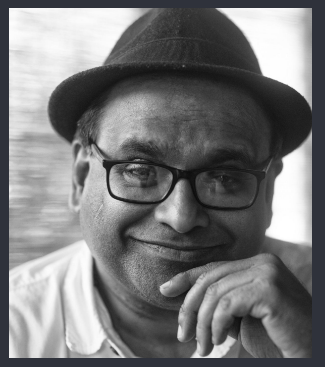 He is the author of fourteen books of poems, including Coconuts on Mars (Paperwall, 2019), Uncivil War (TSAR Publications, Canada, 2013), and the Paterson Prize-winning The Elephants of Reckoning (Hanging Loose, 1993). Amirthanayagam is a past fellow of the New York Foundation for the Arts, the US/Mexico Fund for Culture, and the MacDowell Colony. He curates the reading series Poetry at the Port at Port au Prince Restaurant in Silver Spring, MD and serves on the Board of DC-ALT. His website: www.indranmx.com.